Worldwide, malaria deaths are down by 60 percent, and the Malaria Consortium estimates that more than six million lives have been saved since 2000. 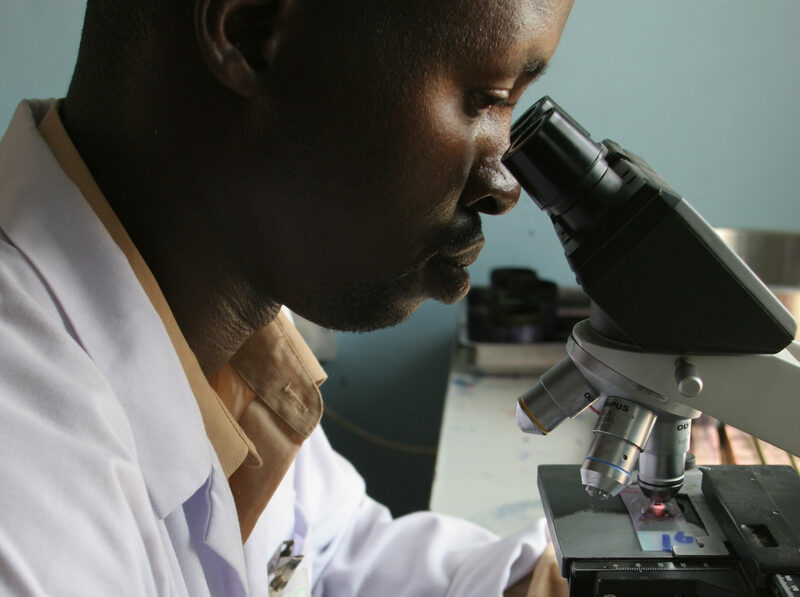 Ending malaria for good will require sustained financing for malaria control interventions, and sound evidence of the broader economic impacts of these activities to ensure smart investments. In Ghana, malaria is a central focus of the HFG project’s health financing efforts, where the project aims to support and help address the large financial and health burdens that malaria poses in the country. One of HFG’s activities is providing information on how malaria can be prioritized and viewed as an integrated part of service delivery by the National Health Insurance Agency (NHIA), thereby complementing Ghana’s progress towards universal health coverage objectives. This integration means offering incentives – mainly to providers – to increase prevention, confirm diagnoses with rapid or laboratory tests, and provide high-quality treatment at the appropriate service delivery level. Another activity is leveraging operations research to support the NHIA in examining whether – and why, if applicable – there is variation in providers’ claims for the treatment of malaria. This may help the NHIA reduce unnecessary costs. In Senegal, HFG is supporting the U.S. Government’s President’s Malaria Initiative (PMI)’s overarching goal of reducing malaria mortality and morbidity by expanding proven interventions. Some regions in Senegal with seasonal variations in malaria transmission could attain malaria incidence rates of fewer than five cases per 1,000 people – or, pre-elimination – with an appropriately timed and targeted mix of interventions. Achieving this goal, however, requires data on epidemiological and programmatic impact and cost-effectiveness. HFG researchers, in collaboration with the National Malaria Control Program (NMCP), are conducting a cost-effectiveness analysis of Senegal’s targeted malaria prevention and treatment intervention packages, which vary by district and region. The analysis will examine which packages or combinations of malaria control interventions have the highest value for money, and determine whether the funding allocated for malaria is efficient given the current distribution of intervention packages. The results will help inform policymakers and NMCP officials on how the level and allocation of resources might be adjusted to both maximize the impact of available resources and identify areas where additional resources could be used. Two Zambia-based studies look at how Zambia’s health system is affected at the facility level by the expansion of malaria control activities. The first study, published in The American Journal of Tropical Medicine & Hygiene, compared hospitalizations and related costs at the facility level before and after malaria control was scaled-up. The second study, published in the Malaria Journal, investigated the effects of malaria control scale-up on the use of pediatric blood transfusions, which can reduce mortality among children with severe malarial anemia. Findings from these studies suggest that the scale-up of malaria prevention, diagnosis, and treatment interventions free up valuable resources at the facility-level – such as financial resources and blood supplies – that can be used for other patients. Another area of growing interest in malaria research is the link between malaria control activities and household microeconomic outcomes, such as educational attainment and agricultural production and consumption. Such research would help frame the importance of funding levels for malaria control efforts in Zambia in terms of the economic return on investment at the household level. With this in mind, HFG conducted a retrospective analysis examining the association between district-level data on malaria control interventions and household outcomes. Due to limitations in the retrospective data used, the findings, to be published in a peer-reviewed journal in 2016, did not show an association between malaria control scale-up and household microeconomic outcomes. The study highlights lessons on the possibilities and limitations in using commonly available, retrospective data, for similar countries and research efforts.